Item # 312905 Stash Points: 7,995 (?) This is the number of points you get in The Zumiez Stash for purchasing this item. Stash points are redeemable for exclusive rewards only available to Zumiez Stash members. To redeem your points check out the rewards catalog on thestash.zumiez.com. 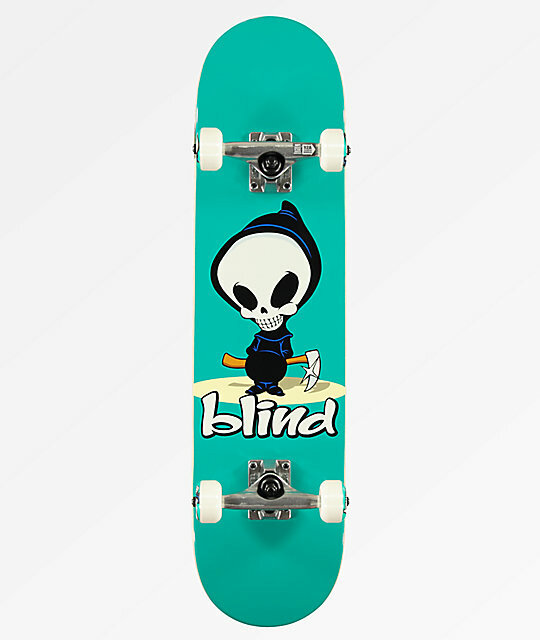 Start off your skateboarding career on the right foot with the Blind OG Reaper 7.75" Skateboard Complete. Tensor trucks provide stable stalls and higher speed riding, while the Blind brand bearings carry speed from feature to feature with ease. 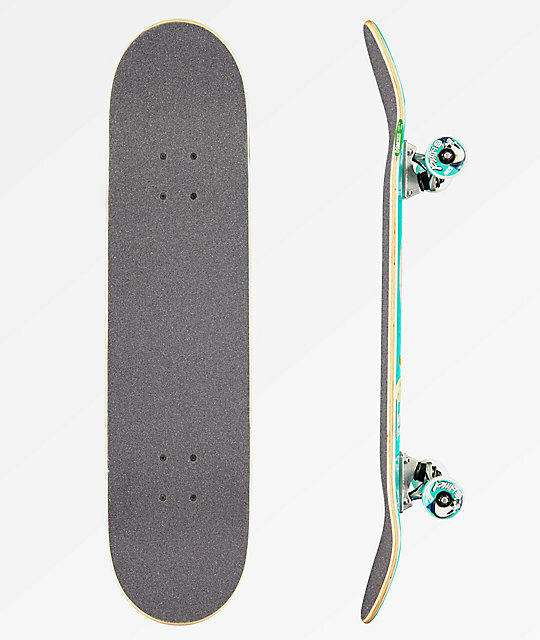 Slight concave ensures a stable and flat learning surface, while the wide and aggressively upturned kick tails make for massive ollies and stable stalls. OG Reaper 7.75" Skateboard Complete From Blind.